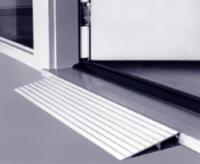 EZ-Access Aluminum Threshold Ramp: 2"
For scooters and wheelchairs. The EZ-ACCESS Threshold is a light weight yet durable modular ramp designed for doorways, sliding glass doors, and raised landings. 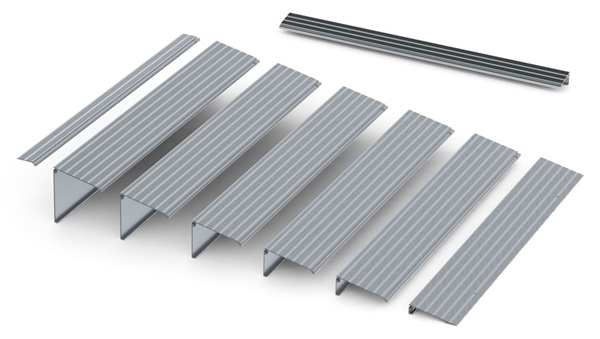 Threshold ramps may be used either one by itself or two combined to make entry and/or exit convenient and safe. Simply measure the height of the door entry and choose the correct size. Constructed of extruded, anodized aluminum that will not rust or corrode. Features a durable non skid driving surface. Easy installation.